Why Consider Plug and Play Skid Modular Packages? 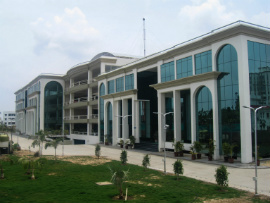 Engineering plants are dynamic and complex by requirement. They grow organically over a period of time and new requirements, advancements etc. demand that plant processes be updated, replaced or newly constructed. However, this is easier said than done. Updating, replacing or rebuilding plant modules can be challenging, expensive and inconvenient. This is perhaps why operations managers and plant in-charges often avoid or delay the upgrades that could enhance productivity or effectiveness. Updating or rebuilding plant processes does not have to be a painful or cumbersome process. With the introduction of modular units or skid systems, your plant packages are engineered-to-order and ready to use. Basically, Skid system is any process implement, operational device or system that can help a customer save time and money, or flexibility by assembling a group of modular pieces together as a single unit. These units are totally optimized and ready to plug into your process flow and ‘play’. The skid systems are designed and fabricated offsite in a controlled environment at fabrication facilities. They are also known as modular process skids. When they are assembled and fully tested, modular process systems are delivered to your site and integrated into your system with a pre-planned outage. Since they are built on a parallel timeline with your onsite civil and construction activities, they are time and cost efficient. Single skid units can contain complete process systems and sometimes a number of process skid packages are integrated to create larger process systems or entire portable plants. These are sometimes called “a system in a box.” For example, a multi-skid process system can be a combination of a raw materials skid, a utilities skid and a processing unit which work in tandem. This is how a skid system is an entire “process system in a box.” It arrives at the processing facility ready to be plugged into the power and utilities with minimal on-site construction required. Skid Mounted Packages reduce production downtime and prevent unexpected launch delays by discovering and remedying issues before the skid systems are shipped. 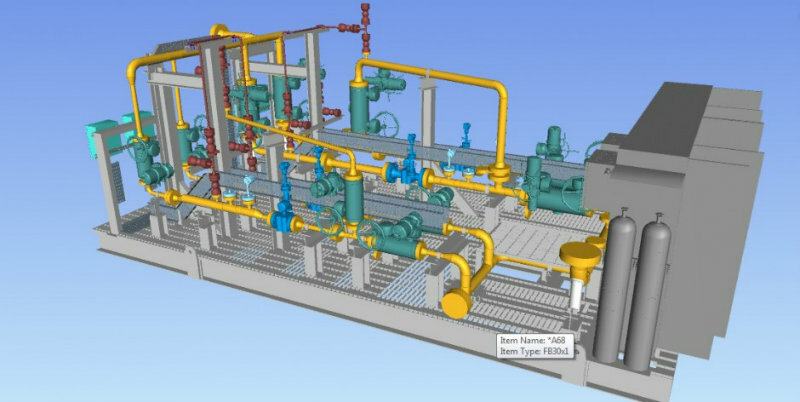 Many EPCs and engineering companies opt for sourcing Detailed Engineering and 3D Modeling of the Skid Process System, to further simplify and speed up the production schedule. Skid systems are cost-efficient and convenient for plant upgrades. Another benefit of a skid system is that it is tailor-made for your available space, even if limited. Even when there is no space available inside your facility, the skid can be designed with enclosures and installed outside of the plant. Enclosures range from simple roof covers to rain tight and completely sealed covers with positive pressure. Rishabh Engineering specializes in the design of SKID modules with sophisticated 3D Modeling software. We make sure that the system is optimally designed to fit the required space and allowing enough access for maintenance. We design the connections to allow for simple and easy plug and play into your plant process. Skid systems have a better construction quality because they are factory-fabricated. Almost anything can be installed on a skid and ported to your in-plant control system – be it flow meters, temperature and pressure transmitters, CIP skids. You can design skid systems with the control elements that you require. With higher efficiency and productivity of modular process systems, the ‘stick-built’ approach is fast becoming dated. If you are looking for Structural design, 3D Modeling and Detailed Engineering for Skid Systems, then Rishabh Engineering has executed several projects of Skid design compliant with ASME B31.3, BS 5950 and other international codes and standards. To know more the scope of services offered, Contact Us Now or Call 1-877-RISHABH (1-877-747-4224).